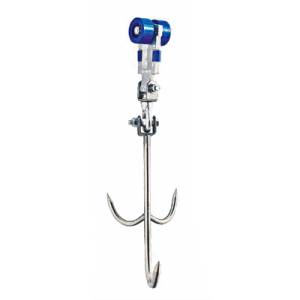 Processing hook of cattle is appropriate for use to cattle slaughter lines with tube Ø60. Made of special treated, cast aluminium for maximum moisture resistance. The wheel is made of special galvanized steel, in order to achieve the minimum friction between tubular railway and the wheel. It has bearings of high quality and endurance. 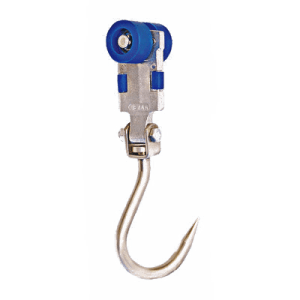 The below part of the hook is made by stainless steel, appropriate for food industries. 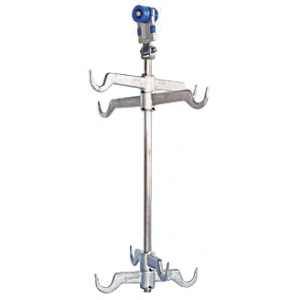 Bleeding hook for cattle is appropriate for use to cattle slaughter lines. Made of hot galvanized steel. The wheel is made of special galvanized steel, in order to achieve the minimum friction between tubular railway and the wheel. It has bearings of high quality and endurance. Processing hook of cattle is appropriate for use to beef slaughter line. Made of special treated, cast aluminium for maximum moisture resistance. The wheels are made of special plastic, in order to achieve the minimum friction between aluminium and wheels. They have bearings of high quality and endurance. 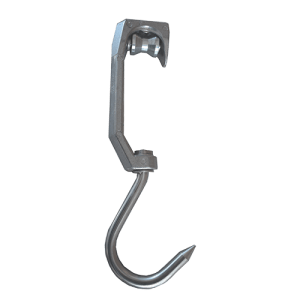 The below part of the hook is made by stainless steel, appropriate for meat industries. 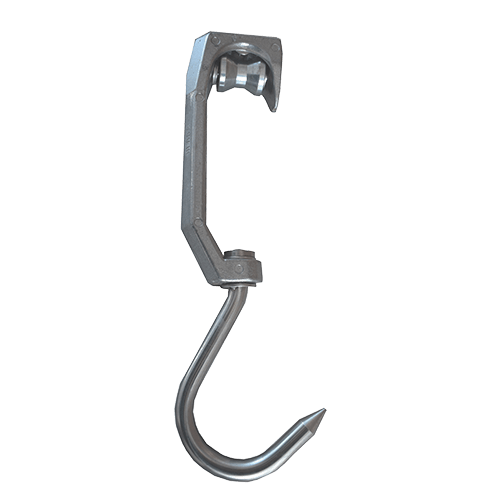 Hooks for heads and offal are appropriate for use to each slaughter line. Made of special treated, cast aluminium for maximum moisture resistance. 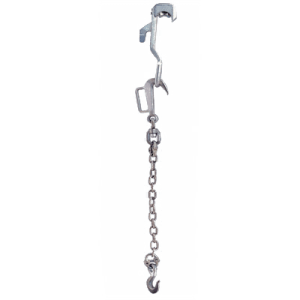 Storage hook for sheep & goats (8pcs) is appropriate for use to sheep or pig slaughter lines. Made of special treated, cast aluminium for maximum moisture resistance.